Refines, clarifies and perfects all skin types. The freshening tonic in your skin-care routine – with organic lemon juice and fresh, natural fragrance. 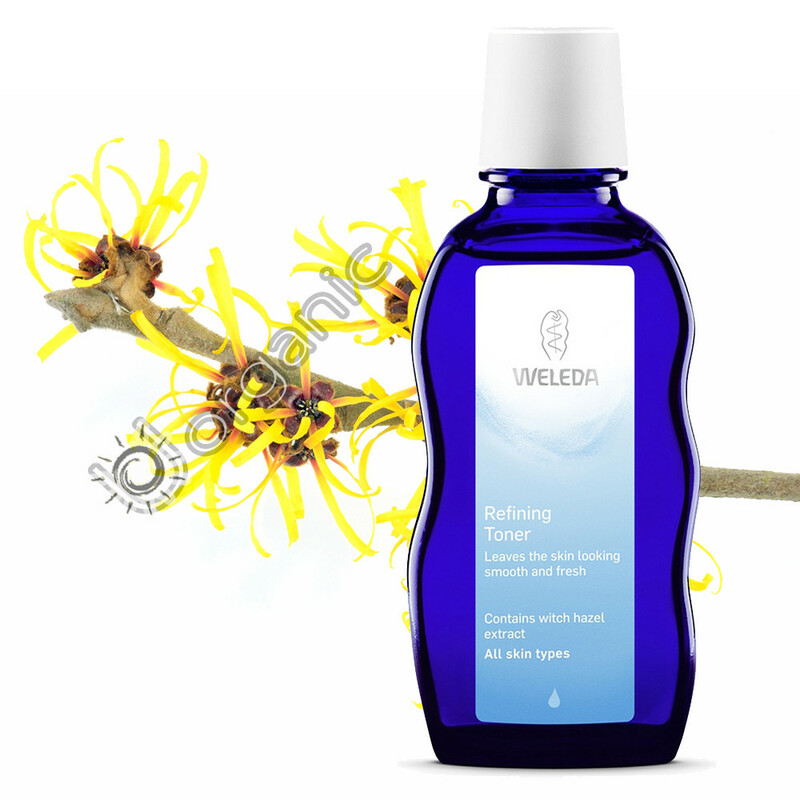 A cool tonic splash to your face, Weleda Refining Toner combines pore-refining, clarifying and toning extracts, including mildly astringent witch hazel, extracts of wild rose leaves and natural essential oils for a light, refreshing fragrance. Use after cleansing and before moisturising with the face care cream best suited to your skin – Weleda Iris, Wild Rose, Pomegranate or Evening Primrose. A perfectly fresh combination to leave skin refreshed, clear, revived and toned. Usage: Apply on a cotton pad stroked gently over the face, neck and décolletage, morning and night after Weleda Gentle Cleansing Milk or Almond Soothing Cleansing Lotion. Avoid the eye area. Ingredients: Water (Aqua), Alcohol, Rosa Moschata Leaf Extract, Hamamelis Virginiana (Witch Hazel) Distillate, Citrus Medica Limonum (Lemon) Juice, Fragrance (Parfum)*, Limonene*, Linalool*, Geraniol*, Citral*.